There are endless marketing solutions out there for business owners in the Indianapolis area. Pens, keychains, flyers, billboards, TV commercials, and radio ads are just a few, and chances are, you’ve probably tried one or more of these avenues in the past. 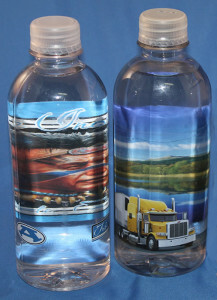 However, there is one advertising vehicle that is both affordable and effective, and that is customized bottled water. The reason it is so effective boils down to one word: exposure. Unlike TV, radio, and billboard ads, which typically last 30-60 seconds, it takes the average person 8-12 minutes to drink an entire water bottle, which is more branding exposure than any of the aforementioned ad vehicles. Plus, there is no other beverage in the world that outsells bottled water, making it a product ripe for marketing opportunities. At Liquid Promotions, we know how to make the most out of this opportunity by creating eye-catching water bottle labels that prominently display our clients’ logos and increases their brand awareness. 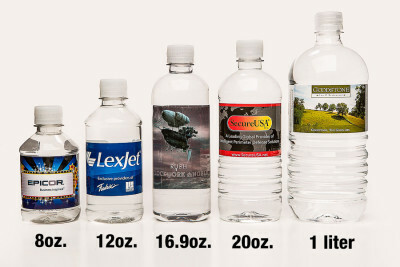 To learn more about why we have the finest quality water bottle labels in the industry, contact Liquid Promotions today. We are proud to serve business owners in the Indianapolis, IN, area.